From chem trails to black holes and supernovas, misinformation about space travels faster than the speed of light. Even the facts we take for granted—like the earth spins once every 24 hours and you can see the Great Wall of China from space—are not as true as one would think. 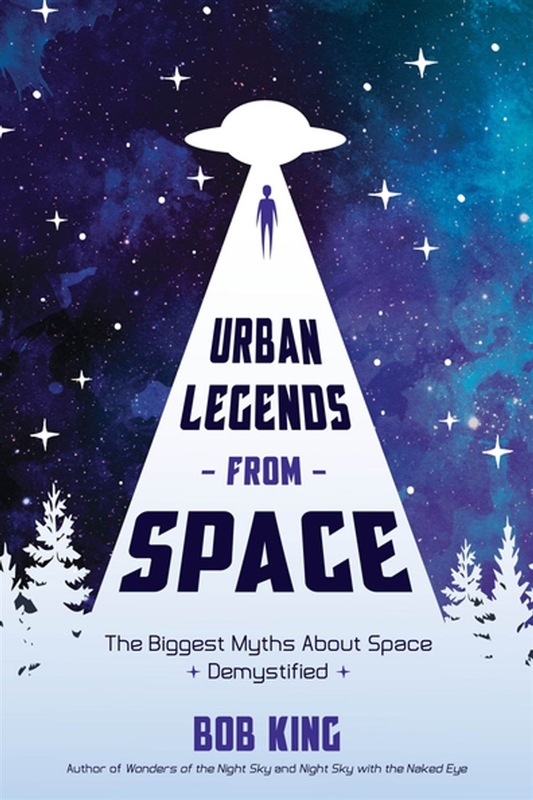 Urban Legends from Space helps you to tell science fiction from science fact. Whether or not you’re into sci-fi or SpaceX, you’ve probably called a meteor a “falling star” and think astronauts float around in space stations because there’s no gravity. Bob King, author of Wonders of the Night Sky and writer for Sky & Telescope magazine, explains the truth behind myths of navigation and landmarks, celestial bodies and government conspiracies. Compasses don’t always point north; the sun isn’t yellow and Galileo didn’t invent the telescope. King explains why some people believed they found Bigfoot on Mars and many other myths—and provides us with concrete evidence to put those misconceptions to bed. No matter what you think you know, there’s something new King can teach you about our universe. 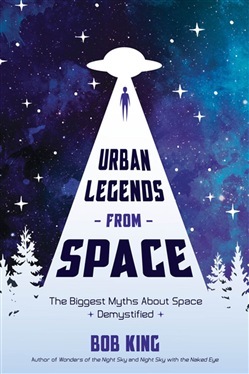 Acquista Urban Legends from Space in Epub: dopo aver letto l’ebook Urban Legends from Space di Bob King ti invitiamo a lasciarci una Recensione qui sotto: sarà utile agli utenti che non abbiano ancora letto questo libro e che vogliano avere delle opinioni altrui. L’opinione su di un libro è molto soggettiva e per questo leggere eventuali recensioni negative non ci dovrà frenare dall’acquisto, anzi dovrà spingerci ad acquistare il libro in fretta per poter dire la nostra ed eventualmente smentire quanto commentato da altri, contribuendo ad arricchire più possibile i commenti e dare sempre più spunti di confronto al pubblico online.